CULLMAN – Father Joel Martin, O.S.B., president of Saint Bernard Prep School, has announced that Headmaster Dan Baillargeon is resigning from his position to accept the principal’s position at a high school in the Northeast, effective after the first semester, 2017. Baillargeon, who came to Saint Bernard in 2014, said that another opportunity presented itself closer to family, and that has been a pull felt by the family for years as their own children grow. In a letter to parents of Saint Bernard Preparatory School students, Baillargeon stated he was truly grateful to all who have supported him as headmaster and his family in the community of Saint Bernard. “I firmly believe that Saint Bernard is a blessed place and I hope that by God’s grace the school continues to provide an excellent education in the Benedictine tradition for many years to come. 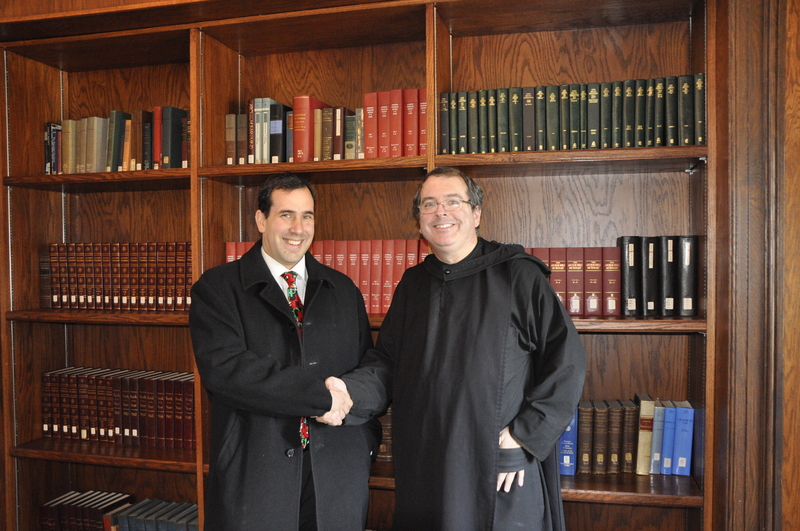 Abbot Cletus Meagher, chairman of the Board of Directors at Saint Bernard Prep announced that he has asked Father Linus Klucsarits, O.S.B., a monk of Saint Bernard Abbey and presently the school’s assistant headmaster, to assume the headmaster’s position in the school effective Jan. 1, 2018. The appointment must be approved by the school’s board of directors.